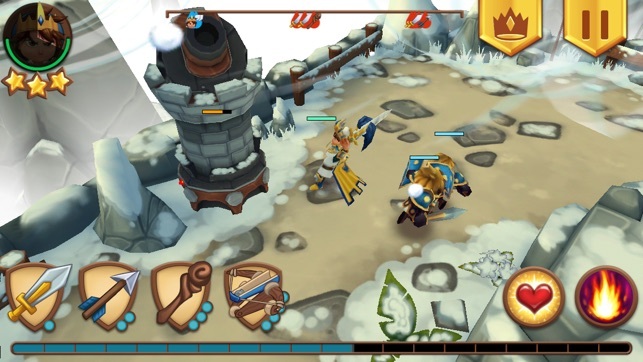 Royal Revolt is a brand new reverse T-defense game with beautiful 3D graphics and intuitive touch controls! 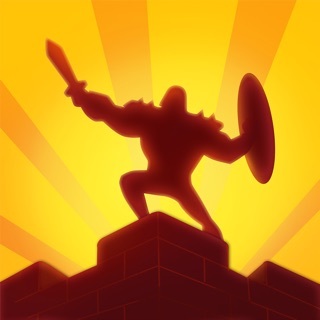 Lead your soldiers to victory against your greedy relatives who have stolen your father’s throne. But you are a man now! 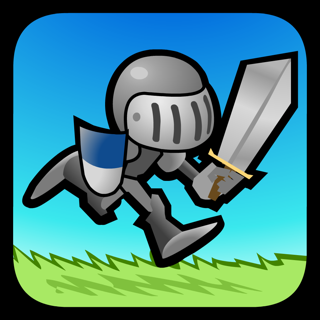 You sell your jeweled teddy bear, collect a few trusty soldiers and set out to KICK THE GREEDY BUSTARDS out of their castles. Which are rightfully YOUR castles, damn it! PANDA TIME: Far East fun for everyone! 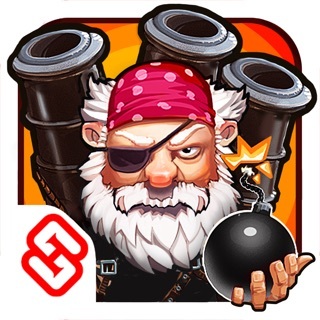 • MORE BONUS MISSIONS: 8 completely new Bamboo Garden Missions. 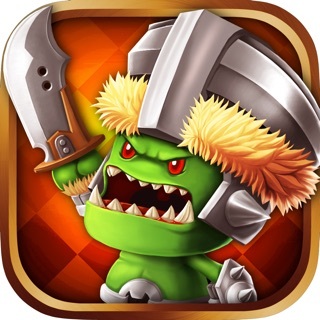 • MORE FREE GEMS: Earn more than 400 Gems by playing the new missions. • MORE OF EVERYTHING: New music, sound effects, various improvements and fixes. Once you come back from trainning you not only find out about your aunts and uncles, but after the first chapter you come to learn about nations converging on your homelands. This could never have happened before, but do to decay caused by your homelands division into many little pieces by your aunts and uncles after the your king dad died. Now you must crush your fathers brothers and sisters and the other nations forward movement on your home lands back to the old walls and restore the greatness your father had created. Now, how dose this give the effects I wanted earlier? 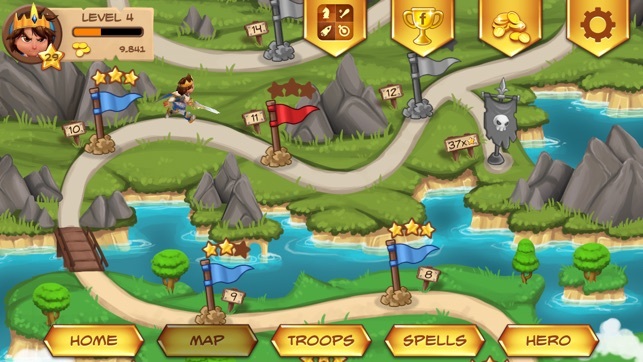 Perhaps different levels are added, fronts of other attacking nations on an open field are added to the map(double morale and slightly increase recharge for these level types, make the combat HUGE) where the end goal is similar take out a fortification, or take out some siege engines that make your homelands a living hell. At the end of these you stumble on new weapons, unlocking new soldiers, and once those are unlocked maybe add new chapters to the game, like I said to take back those fronts. and add fortification levels in those new chapters to keep it classic. Great game! Keeps me going. I originally played this on my s3 and decided to see if the App Store had it, well obviously it did. 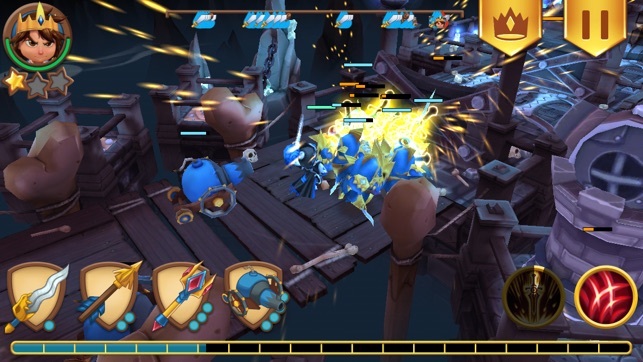 The game itself is a reverse tower defense instead of defending your assaulting. There are a few different kind of minions to push forward and attack. 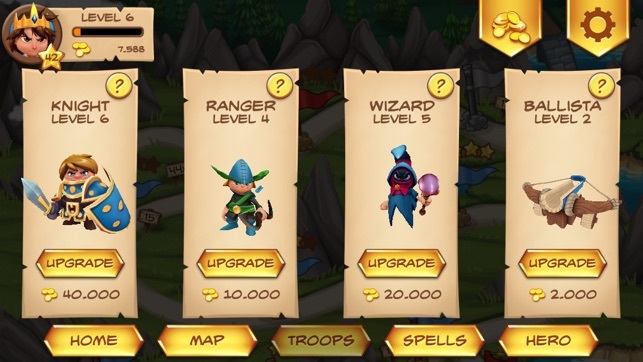 You can upgrade your minions and your character also. You also get to use active skills such as healing and fire. Each stage have a different theme such as wood, stone, stone..etc. like I said I have it on two different devices and enjoy playing it. I do feel that at time I may need to purchase gems but you can live without it. 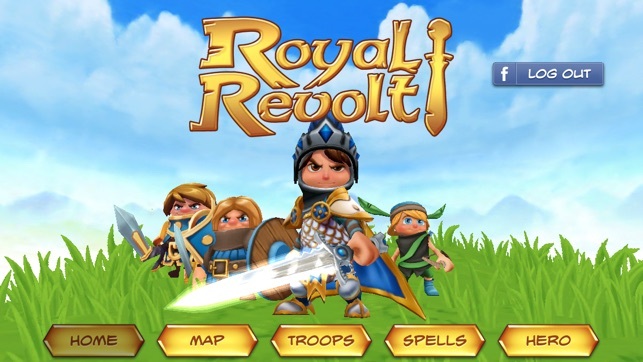 Royal Revolt is an enjoyable, and very cute little game. The music is interesting, the designs are fairly unique, and everything runs rather smoothly. Tho only problem that I can see is its heavy, almost forceful push towards IAP. If you're looking into not spending much money, I hope you have a lot of time on your hands. Upgrade prices scale quickly and gems are hard to come by. As you get them, the are only worth around 600 gold a piece. It's just kind of silly I guess. 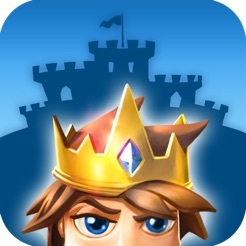 If you get over the IAP, it's very addicting, and something you can play for quite an amount of time.